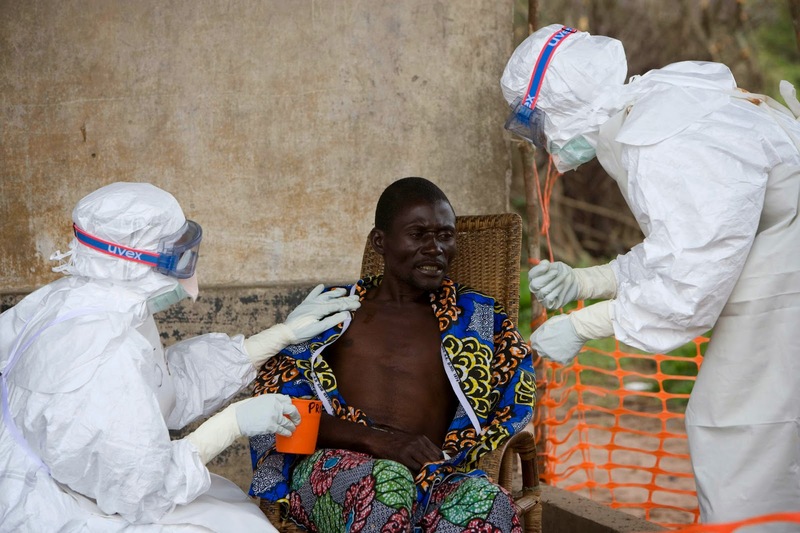 There is currently an outbreak of Ebola fever going on which has killed over seven hundred people. This viral disease was first identified in 1976 and is centred on western and central Africa. There were several other epidemics since then including the present one which is the most severe yet. It's a very nasty disease to catch; it begins with malaria-like symptoms, but then develops into haemorrhagic fever which means the body's tissues start spontaneously bleeding. This eventually leads to multiple organ failure and death. However a minority of cases, 10 to 50% never progress that far and the patient eventually recovers. There is no specific treatment, no cure and no vaccine, but good general hospital care in the early stages of the illness increases the chances of recovery. There are currently many stories in the media over the latest Ebola outbreak because of the fear that the disease could spread beyond Africa to the West, for example: http://www.mirror.co.uk/news/world-news/recap-ebola-outbreak-alerts-outside-3934345. 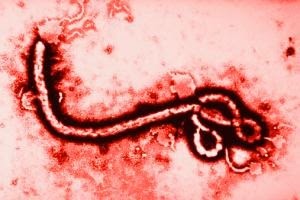 The disease broke out in Guinea and spread to neighbouring Sierra Leone and Liberia. Authorities in those countries have closed all the schools, set up secure wards in hospitals and have been disinfecting public places in an attempt to stop the virus spreading. The worry is that somebody infected will board an aircraft and thenceforth carry the epidemic to another part of the world. This has already happened because a single case has been reported in Nigeria, a man who had just travelled from Liberia by air. There is indeed a genuine risk involved here that needs to be calmly and sensibly dealt with, but the hysterical panic in the tone of the media coverage is totally unjustified and is frankly suspicious. They're treating the subject as if it's some horror movie come to life, when in fact the prospect of a global epidemic of Ebola is highly unlikely. The virus is fairly easy to contain compared to most others. It's not airborne like the flu; it is contagious only through contact with blood or other body fluids. You won't catch it by sitting next to somebody on a bus; you could even shake their hand and probably not pick it up. Preventing its spread in hospital can be achieved by setting up quarantine zones and giving the staff personal protective clothing to wear; this consists of a splashproof boiler suit, gloves, boots and a hood. A mask should be worn over the face. When entering or leaving the zone this garment should be removed and disinfected and the staff member should wash themselves carefully. This is something that's already being done in local African hospitals and I've done it myself in disease containment drills at the John Radcliffe when I was a Porter. However I've never had to deal with a real Ebola outbreak in my career, indeed the disease has never appeared in the UK ever. Why should it manage to get here now? Somebody who catches the Ebola virus will not be contagious until they start displaying symptoms and this is usually not long after infection. Ebola has a short incubation period; a few days to three weeks. This means epidemics are not hard to identify and encircle before they spread too far; indeed it appears from the figures on this page that the prevalence of the illness is already past its peak and will now decline as fewer new patients are infected, see: http://en.wikipedia.org/wiki/2014_West_Africa_Ebola_outbreak. Compared to AIDS, containing Ebola is a piece of cake. AIDS has an incubation period of many years which means it can infect people in every corner of the world before anybody even knows what's happened. I strongly suspect that Ebola is being used by the media as another attempt to harness the anti-immigration tendency to the New World Order agenda. There's also reason to believe that Ebola is a product of the biological warfare industry. This film is a must-see for anybody who is curious where deadly diseases come from: https://www.youtube.com/watch?v=NkHcEGZ8oVs; the segment specifically dealing with Ebola begins at 1.48.51. In 1967 a haemorrhagic fever broke out among staff at several pharmaceutical laboratories producing vaccines in Germany and Serbia. It was called the "Marburg virus" and it infected thirty-one people, killing seven of them. Its symptoms were very similar to Ebola and the organizations where it emerged are controlled by Litton Bionetics, a company involved in the US military biowarfare programme; how odd that Ebola "appeared" just a few years later in a region of the world where these weapons have traditionally always been tested, see: http://hpanwo-voice.blogspot.co.uk/2014/07/ben-emlyn-jones-live-real-zombies.html. So if a massive epidemic of Ebola does emerge on the streets of Britain, don't assume it was brought to us by members of some undesirable underclass from the Third World that we need a new authoritarian government to protect us from. Exactly what I was thinking today, uncanny eh! An HPANWO-esque view of National and International news stories, to act as a companion to the main HPANWO site. 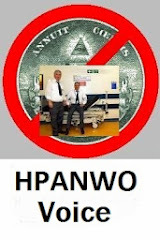 The HPANWO Voice presents a view of Government cover-ups, ghosts, UFO’s, Hospital Porters, paranormal investigation, cryptozoology, hidden knowledge, forbidden history and archaeology, chemtrails… and more Hospital Porters! Did Thatcher cover it Up? Ben Emlyn-Jones live- REAL Zombies!